As part of National Archives Month we’re highlighting archival items in several areas of our collection, starting with music. 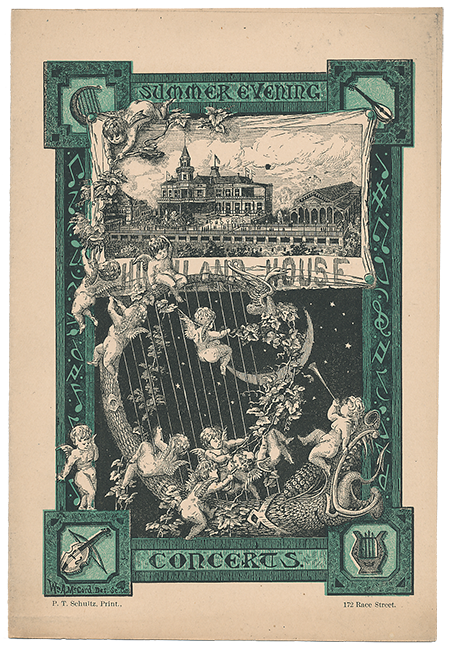 In addition to nearly 10,000 pieces of sheet music, Ohioana’s collection includes nineteenth- and twentieth-century songbooks, scrapbooks, and other items related to music and composing. This handwritten and hand-bound songbook appears to have belonged to A.M. Barber of Pennsylvania in 1820 and later to Thomas C. McEwen, although other signatures are also present. It contains 28 numbered pieces as well as scales written for the “clarionett,” or clarinet. 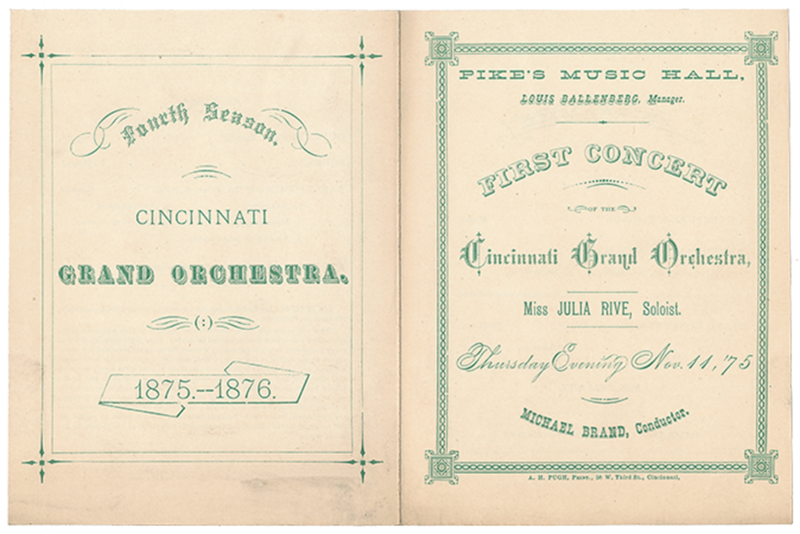 Ohioana also has several printed songbooks from the nineteenth century, many from Cincinnati music publishers. 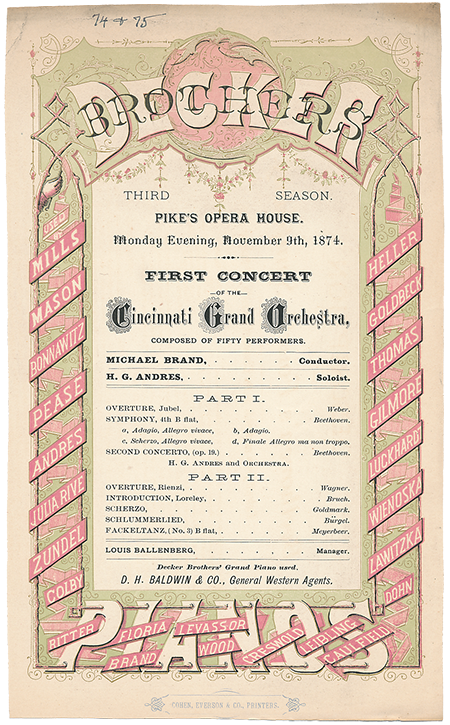 The items below are from a scrapbook containing approximately 100 pages of newspaper clippings, essays, concert programs, and other ephemera documenting the 1874-75 and 1875-76 concert seasons in Cincinnati. Ohioana’s scrapbook collection also includes two scrapbooks documenting the activities of the Ohio Federation of Junior Music Clubs in 1935-37 and 1939-41 (with some hand-painted pages) and a scrapbook compiled by pianist Molly Rittman containing programs from piano recitals, greeting cards, mementos from trips to Chicago and Detroit, correspondence, and press releases for Rittman’s weekly radio performance. If you’d like to learn more about these or other archival items in Ohioana’s collection, feel free to contact us!